An hour’s drive from Hong Kong’s bustling metropolitan life, The Education University of Hong Kong (EdUHK) offers undergraduate, postgraduate and professional development programmes in teacher education, social sciences and humanities. Continue reading to find out about scholarships, student accommodation and support services available at EdUHK. In addition to these opportunities, there are a number of governmental scholarships open to undergraduate students. Find out more about government scholarships here. All full-time MPhil and PhD students at EdUHK are eligible for research postgraduate studentships, which cover their tuition fees and a stipend. International students can apply for the Hong Kong PhD Fellowship Scheme, which is run by Hong Kong’s Research Grants Council. It includes an annual stipend of approximately US$30,000 as well as an annual conference and travel allowance of approximately US$1,300 for up to three years. Student halls are a vital part of student life at EdUHK. Currently, there are four on-campus student hostels, namely Northcote Hall, Grantham Hall, Robert Black Hall and the Jockey Club Student Quarters, which offer about 2,200 residential places. Allocation of hostel places are subject to availability and eligibility of applicants. EdUHK offers support services to all students throughout the course of their studies, including a buddy support scheme, regular group trips and activities, on-campus events and a personal mentoring service to help students feel at home. 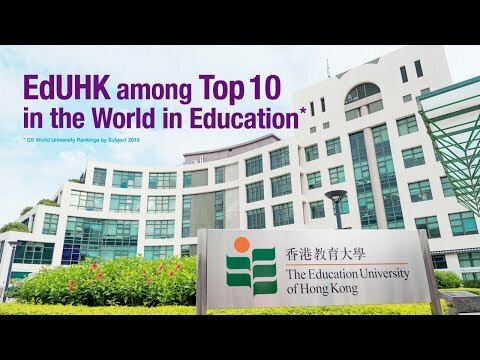 EdUHK has four University- and 11 Faculty-level centres for research. The academics and researchers have been undertaking 178 ongoing projects with HK$111.8 million (as of June 2017) in funding provided by the Research Grants Council and other funding bodies, which bears testaments to its research capacity as a young and thriving university. The University also has a network of around 200 partnerships and collaboration with government agencies, NGOs and universities across the globe, including exchange opportunities, joint degree programmes, consultancy projects, and research and knowledge transfer projects. Follow EdUHK on Facebook and YouTube for live updates and multimedia content on student life at the university.